On New Year's Day of January 1975 the Khmer Rouge launched what it hoped was the final assault on Phnom Penh. The Cambodian capital was now swollen with over two million refugees. Access to food supplies in the countryside was completely cut off, and Phnom Penh starved slowly as a stream of US airlifts unsuccessfully attempted to feed the entire city with less than 600 metric tons of food per day. Despite a brave fight, Lon Nol's troops quickly fell apart from lack of supplies, lack of support, and lack of leadership. The now-fanatical Khmer Rouge, strengthened by a steady stream of supplies from Hanoi and emboldened by surviving years of sustained US bombardment, made their push into the Phnom Penh suburbs. 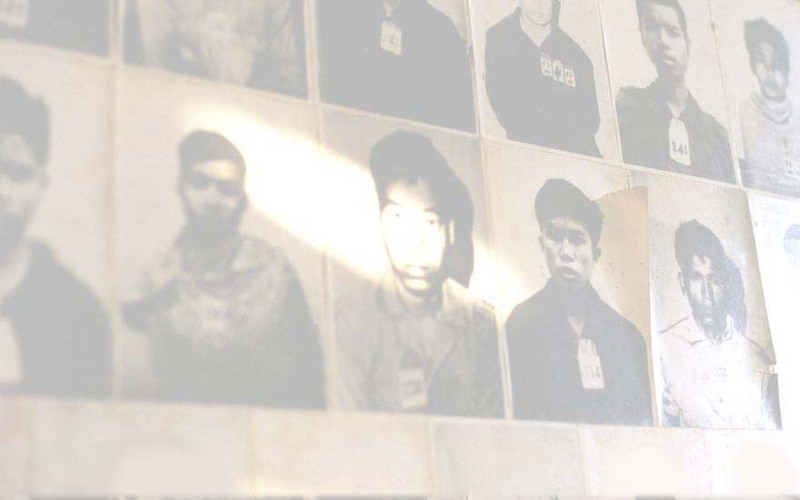 By the end of March it was clear there was no way of stopping the Khmer Rouge siege. Please accept, Excellency, my dear friend, my faithful and friendly sentiments. Sirik Matak. Prince Sisowath Sirik Matak, former contender for the Cambodian throne and co-conspirator in the Lon Nol coup, would be executed by the Khmer Rouge two weeks later, along with Long Boret, Lon Non, and the other remaining members of the Lon Nol government. On the morning of April 12, Ambassador John Gunther Dean and the US embassy staff boarded a series of US transport helicopters to evacuate to a navy ship waiting in the Gulf of Thailand. Khmer children observing the evacuation waved to the Americans, calling out "OK, bye-bye, OK, bye-bye" to the departing embassy staff. As the helicopters departed Phnom Penh, the Khmer Rouge shelled the evacuation zone, firing mortars into the crowd watching the departure. The civil war was coming to an end. Five days later, on April 17, 1975, Khmer Rouge forced marched unopposed into central Phnom Penh. At first the residents of the city celebrated - the siege was over, there would be no more fighting. But within hours, the joy would turn to horror as the Khmer Rouge began to implement their barbarous plan for a utopian communist society. April 17, 1975 was Day Zero for the new Cambodia - two thousand years of Khmer history were now meaningless.